On Saturday 24 June 2017, at Goodworth Clatford Village Club, we had a very enjoyable day with the very talented Marion Browning. 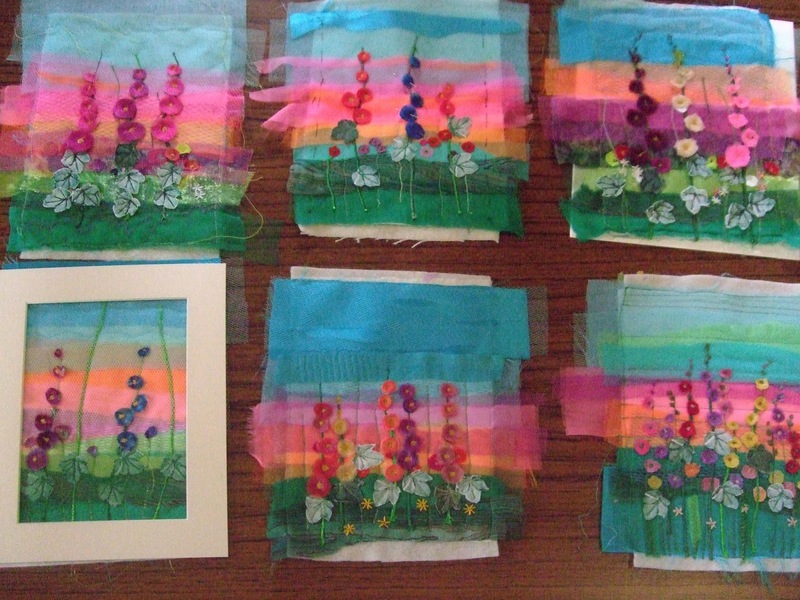 Marion showed us how, with just a few scraps of material, we could produce beautiful pictures of a cottage garden. 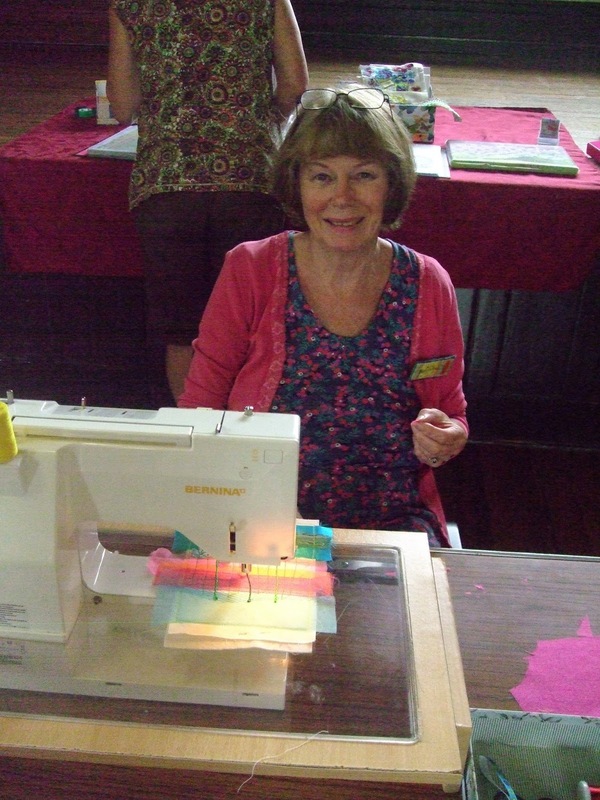 Marion provided us with kits of coloured fabrics which we layered to produce some dazzling effects. 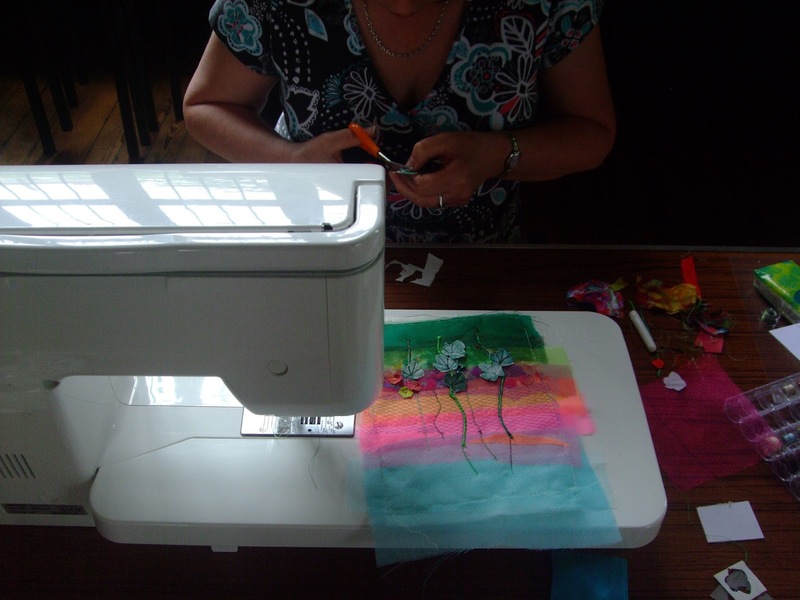 For some of us, machine embroidery was new skill to be mastered, but under Marion's excellent tutoring, we all produced work to be proud of. 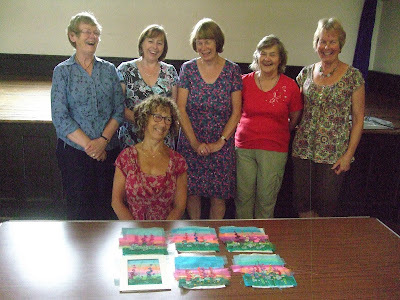 Thank you Marion, for a super workshop, we all had a very enjoyable time. I think the photo below says it all!